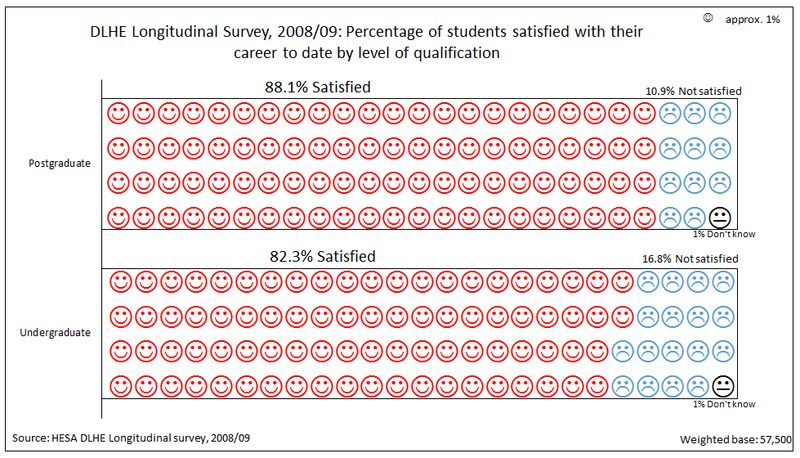 The majority of subjects had 80% or more leavers who were satisfied with their career to date. 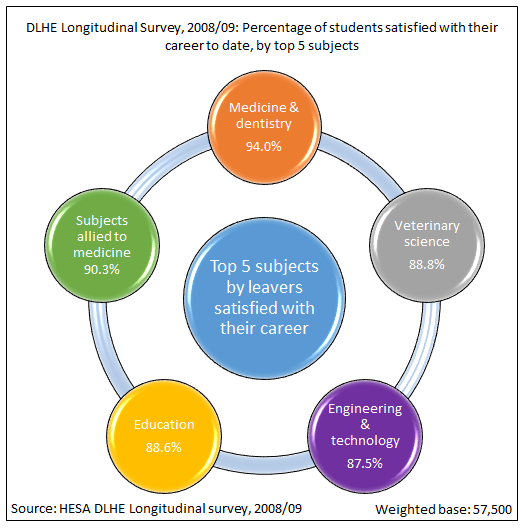 Leavers who had studied Medicine & dentistry had the highest career satisfaction over any other subject. Leavers with a postgraduate qualification were more satisfied with their career to date than leavers with an undergraduate qualification. The DLHE Longitudinal survey for the 2010/11 cohort of leavers has taken place over the winter of 2014/15. The findings will be released in August 2015.